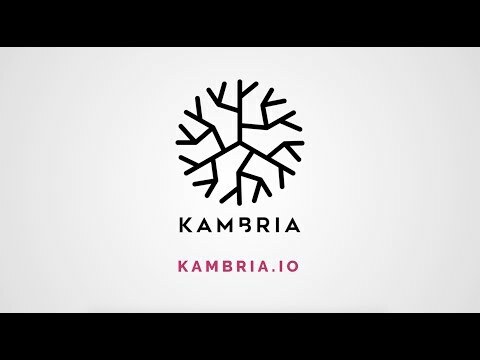 Kambria is a decentralized open innovation platform that will foster a collaborative ecosystem, with the goal of dramatically accelerating the development and adoption of the world's most advanced robotics technology. Our common goal is to design and deliver the most capable yet affordable consumer robots at 10x the speed, efficiency, and ease. Drawing inspiration from other widely popular open source operating systems like Linux and Android, the core of the Kambria platform is an open robotics repository comprising of a highlevel behavior library and modular hardware components. The repository is designed to maximize reusability and collaboration during robotics development. Interactions on the platform are facilitated by the Kambria Token (KAT). Companies can use tokens to issue bounty challenges which are awarded to projects when fulfilled. Individual or teams are rewarded with tokens for designs or code they contribute. Manufacturers earn tokens through production of robots and robotic parts. Community members use tokens to promote specific projects and fundraise for legal protection of the shared technology. Tokens can also be used to fairly capture the value created by the Kambria platform and sustain the growing community. Current progress in the robotics industry is impeded by siloed development, wasted labor, and high startup cost. As a result, the pace of robotics innovation is needlessly constrained. Kambria’s creation was borne out of our desire to accelerate this process by engaging a vast community of developers and tinkerers, providing them with the necessary tools, and connecting them through market demand. Drawing inspiration from other widely popular open source operating systems like Linux and Android, the core of the Kambria platform is an open robotics repository comprising of a highlevel behavior library and modular hardware components. The repository is designed to maximize reusability and collaboration during robotics development. Incentivized to reach a pareto-optimal state of continual cooperation through crypto-economics, the Kambria community of backers, companies, contributors, manufacturers, and users are empowered to collaborate and help the robotics ecosystem grow exponentially. Our common goal is to design and deliver the most capable yet affordable consumer robots at 10x the speed, efficiency, and ease. This will unlock substantial value in markets that are primed for technological transformation. Imagine a world where your ill stricken daughter doesn't have to miss out on playing with her grandma 10,000 miles away; where she can be safe alone; a world where she is given the best automated care around the clock; and where she can be educated by the best teachers in the comfort of her home. This reality can be achieved in a near future with the Kambria robotics innovation platform built by the community. Interactions on the platform are facilitated by the Kambria Token (KAT). Companies can use tokens to issue bounty challenges which are awarded to projects when fulfilled. Individual or teams are rewarded with tokens for designs or code they contribute. Manufacturers earn tokens through production of robots and robotic parts. Community members use tokens to promote specific projects and fundraise for legal protection of the shared technology. Tokens can also be used to fairly capture the value created by the Kambria platform and sustain the growing community. Kambria's lean and collaborative platform and approach will take technological advancement to a whole new level. Strong community with a robust, transparent, active and highly educated team. Also, a great set of backers and partners. This is by far one of the most ambitious and better managed projects in the Crypto and innovation space.